^^The book of Genesis is a lively read featuring familiar biblical tales such as the creation of the world, Adam and Eve and the forbidden fruit, Noah and the flood, Abraham and Isaac, Jacob and Joseph, the Tower of Babel, and Sodom and Gomorrah. While readers may know the facts of these stories, Goldingay's work will instill in them a deeper understanding of their spiritual and theological significance. 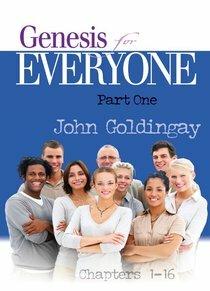 About "Genesis For Everyone (Part 1) (Old Testament Guide For Everyone Series)"